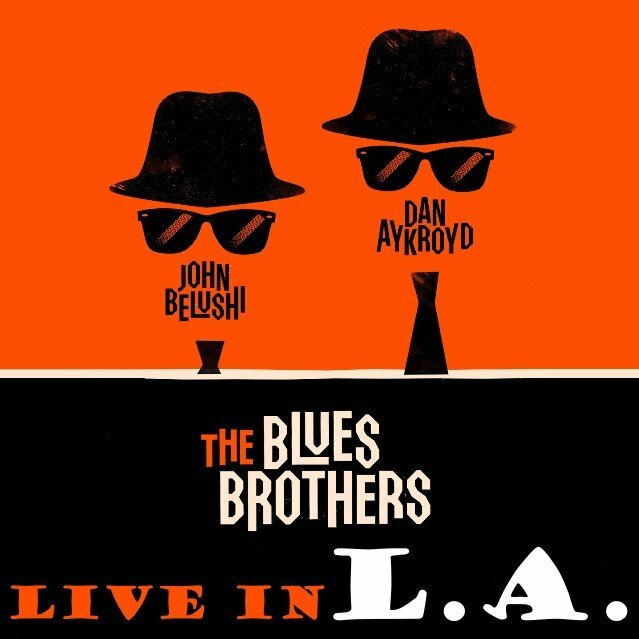 This is the final concert with John Belushi, recorded at the last of 7 performances at the Universal Amphitheatre Los Angeles, an end to a 22 concert tour of the USA. This is the only time the band performed 'Come on Up'. 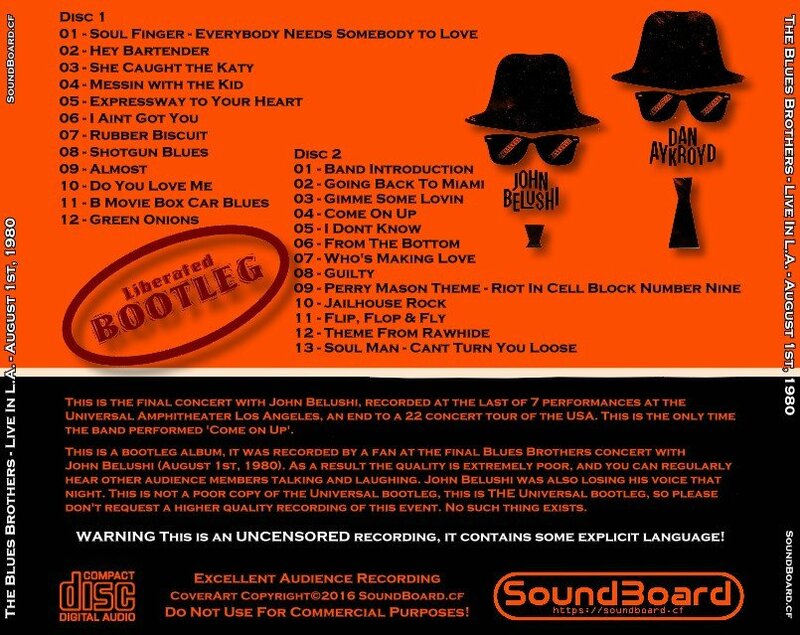 IMPORTANT This is a bootleg album, it was recorded by a fan at the final Blues Brothers concert with John Belushi (August 1st, 1980). As a result the quality is extremely poor, and you can regularly hear other audience members talking and laughing. John Belushi was also losing his voice that night. This is not a poor copy of the Universal bootleg, this is THE Universal bootleg, so please don't request a higher quality recording of this event. No such thing exists. it contains some explicit language! Live in L.A. 0 out of 5 based on 0 ratings. 0 user reviews.